George Mullins in Culture & Arts Music on 21 September, 2018. 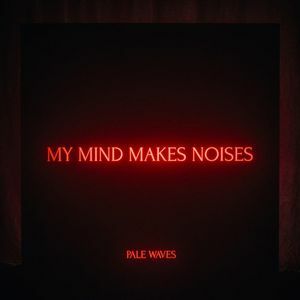 A highly anticipated album that falls flat: My Mind Makes Noises fails to provide any sustenance to Pale Waves’ meticulously crafted aesthetic. Although the album includes, albeit very little, some enjoyable tracks, the hollow Indie-Pop record is littered with formula written, The 1975-carbon copy songs that make for a lacklustre listening experience. 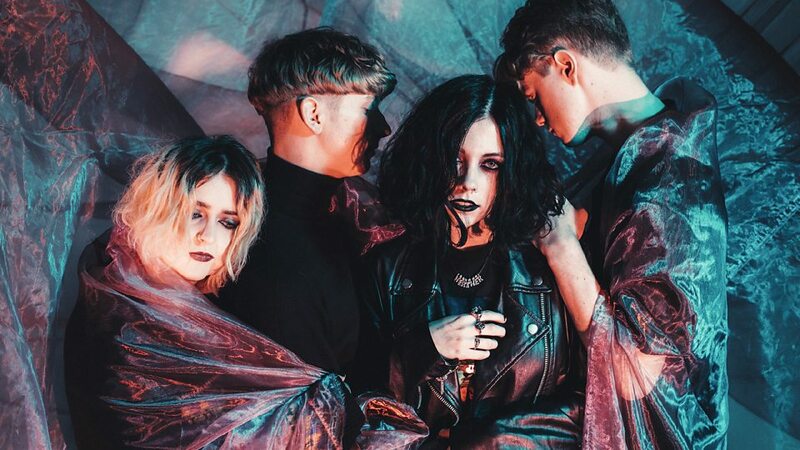 Pale Waves have been lurking on the Indie scene for a number of years now, and ever since their highly produced pop banger ‘There’s a Honey’ dropped last year, anticipation for their debut album has been steadily growing. The band signed to the brilliant record company Dirty Hit (The 1975, Wolf Alice and The Japanese House) and were taken under the wing of the talented, The 1975 front man Matt Healy. The band’s current Indie-Goth aesthetic was then quickly adopted and displayed to the public in the form of black and white photoshoots, questionable make up and stage outfits and most of all their all-so-alternative black block coloured single/ep artwork. Their image is novel and easily consumable, so I have no qualms with this side of the band. The slew of guitar driven pop records and quirky music videos (Such as ‘Television Romance’ and ‘The Tide’), too, have been enjoyable and have shown that the band is capable of making decent pop music. However, I can’t shake off the feeling that all their songs have a very similar, rinse and repeat sound that comes a little to close to The 1975 for it to be truly original. However, I was looking forward to hearing ‘My Mind Makes Noises’ and finding out if the band could build upon and move beyond some of their early singles and compile together a truly original album. Unfortunately, despite my hopes, Pale Waves failed to provide the music scene with anything interesting and instead dumped on their audience a shallow and flat forgettable Indie-Pop record. The singles that appear on the album are half decent, listenable songs but the songs in between are so forgettable and boring and are just worse copies of their singles. Furthermore, the lyrics lack any poetic nuance and are cringe overload at points. ‘Kiss’ is my favourite original song as it includes a catchy, dreamy chorus. Although the band’s sound is fairly boring, the highly produced synthesised guitar sound is listenable and inoffensive, also the songs are fairly nondescript and start to bleed into one another (for better or for worse) so you can easily put the album on in the background and take some level of enjoyment from it. Front woman Heather Baron-Grace has an interesting voice that carries the record, but it can get a tad bit grating after repeated listens. I may have been a little harsh on this album at points, but I feel the criticism is justified. It’s particularly irritating since Pale Waves showed real promise and have a pretty cool aesthetic. I believe that the album is listenable, and many will be able to, including myself, take at least a small amount of enjoyment from it, however it is not really objectively ‘good’, whatever that means. I hope they can improve in the future and make their sound more original rather than just borrowing from Matt Healy’s talent.